Eye tests are recommended every two years for adults under 65, and every year for people over 65 years of age. 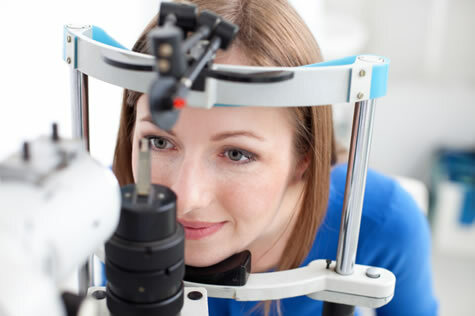 We perform general and specialist eye examinations to monitor the health of your eyes, test your vision and check for eye diseases such as glaucoma, macular degeneration, cataracts and diabetic retinopathy. During your comprehensive eye examination, our experienced optometrist will perform a thorough examination of your eyes and take detailed images of your retina using digital retinal photography. If we detect any macular degeneration or gluacoma, then we’ll recommend an Optical Coherence Tomography (OCT) eye scan. Our optometrist will also assess your work situation and determine the best lenses for your work environment and lifestyle. All our eye exams are bulk billed so there is no out of pocket expense. We also perform children’s eye tests. Book an eye test appointment or contact lens consultation at our Toowoomba practice - call 07 4638 8828.